McManus” work to grow and promote the Jim Caudle Reef, named for a friend and fellow fisherman, turned it into the state”s most visited artificial reef. With the recent addition to the reef named in his honor, McManus” legacy will continue to grow. 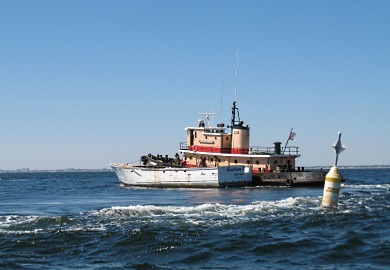 To learn more about DNR”s work on artificial reefs, visit www.dnr.sc.gov/marine/pub/seascience/artreef.html. Myrtle Beach, SC–The South Carolina Department of Natural Resources has announced that the Ron McManus Artificial Reef is official. Known as PA-04, the reef is located five miles from the Little River Inlet’s south jetty. “We are proud to commemorate Ron with a reef named in his honor. His tireless dedication to our State’s artificial reef system has had an impact not only on North Myrtle Beach, but the entire State,” said Robert Marore, Artificial Reef Coordinator for the South Carolina Department of Natural Resources. McManus, who more than 15 years ago established the Dixie Chicken Fishing Fundament in honor of his friend, the late Jim Caudle Artificial Reef, PA-01. Today that reef is the most visited artificial reef in the State of South Carolina enhancing our ecosystem, boosting our economy, and providing countless hours of enjoyment for our many sports enthusiasts. Additionally, an endowment fund created by Mc Manus in 2008, has continued to fund marine and wetland research at Coastal Carolina University and provide scholarship assistance to deserving students. technology transfer, comprehensive planning, public education, technical assistance and constituent involvement. The Department of Natural Resources is pro-active in protecting the state’s natural resources for use and enjoyment by future generations of South Carolinians.